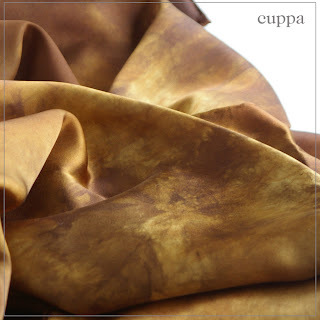 After having dyed over 3500 pieces of silk in my kitchen, I have been invited to do something for the grownups! My first collection of silks for the adults will be winging their way to the Velvet Room Boutique in Vancouver tomorrow. 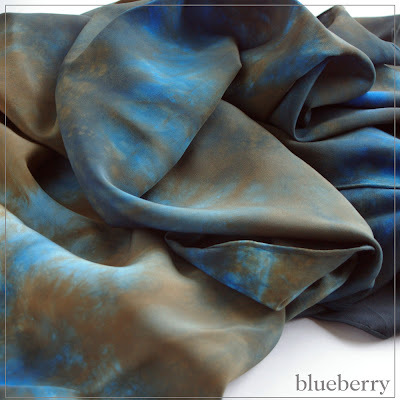 Each scarf is 90 x 22" long and is hand dyed with light and washfast dyes. Stepping up (way up!) 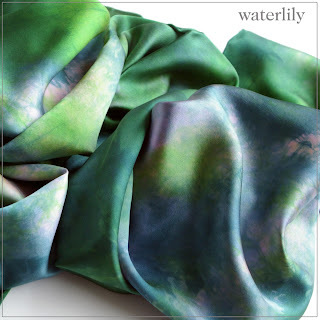 the silk scale from my beloved, durable and simple habotai (for playsilks) these babies are crepe de chine, silk satin and charmeuse (which is divine!). Luxurious *and* natural. I hope to stock a few of these in the Etsy shop for the holidays, too. See the whole group here. Oh wow! They are beautiful! I love the silver cherry and water lilly the most! Hope to see some in your shop. Cascade is gorgeous! Perfect name for it too!